Not liking that name either! Maybe I should give up...Nah! Have you met Cassie over at Funky in Fourth? 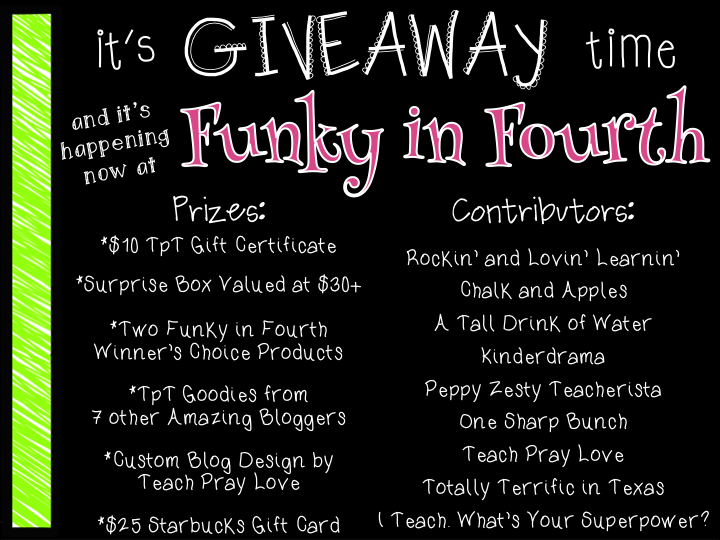 She's fabulous and funky and you should be fabulous and funky by stopping by to enter her giveaway! I mean seriously! Do you see the fun stuff you could win? What are you waiting for? Get over there a check it out! Ah. Thanks for the shoutout!! :) And all the kind words!!!! !